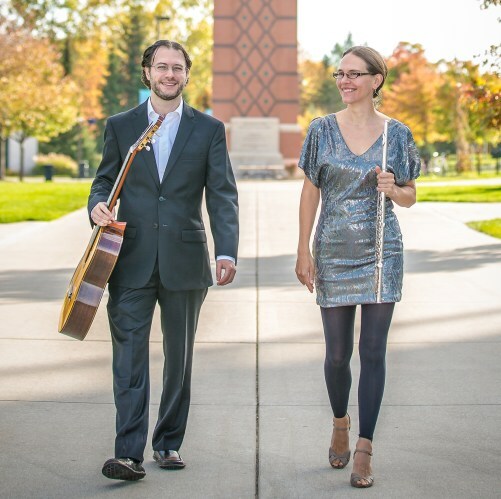 Andrew Bergeron and Carmen Maret are performers, composers, educators and entrepreneurs from Grand Rapids, Michigan known for their work as the Folias Duo. Folias Duo has played their own golden era tango arrangements for milongas since 2002 in over forty tango communities throughout the United States, Chile and Argentina, including the Burning Tango Festival (2016, 2017, 2018), the A-B-QTango Festival (2018), the Albuquerque Tango Society, the Madison Tango Society, Esquina Tango Austin, Quantum Tango, Decir Tango, Wasatch Tango Club, Tango Berretín and at festivals such as the Fairbanks Summer Arts Festival, and the Atlin Music Festival. Since 2005 Bergeron and Maret have operated Folias Music, their label and publishing company for original sheet music and album releases. Folias Music also hosts a podcast called Folias Music Live and a blog that documents the duo’s relentless exploration of food and nature throughout the world. Courtney is an observational astronomer focused on detecting and characterizing planetary systems. Her research group uses telescopes on the ground (often at Lick Observatory!) and in space to search for planets, probe their atmospheres, measure their masses, and constrain their bulk compositions. She is curious about planet formation and evolution, the frequency of planetary systems in the Galaxy, and the prospects for detecting life on planets outside of our Solar System. Courtney is a member of the Target Selection and Follow-up Working Groups for the NASA Transiting Exoplanet Survey Satellite mission and the Science & Technology Definition Team for NASA's Large UV/Optical/Infrared Surveyor (LUVOIR) mission concept study. She was awarded a Sloan Research Fellowship in 2019 for becoming "a world leader in the search for other worlds." Courtney previously obtained a bachelor's degree in Astrophysical Sciences from Princeton University, earned a Ph.D. and A.M. in Astronomy & Astrophysics from Harvard University, and completed a NASA Sagan Fellowship at Caltech. She is currently an Assistant Professor in the Astronomy Department at UC Berkeley.